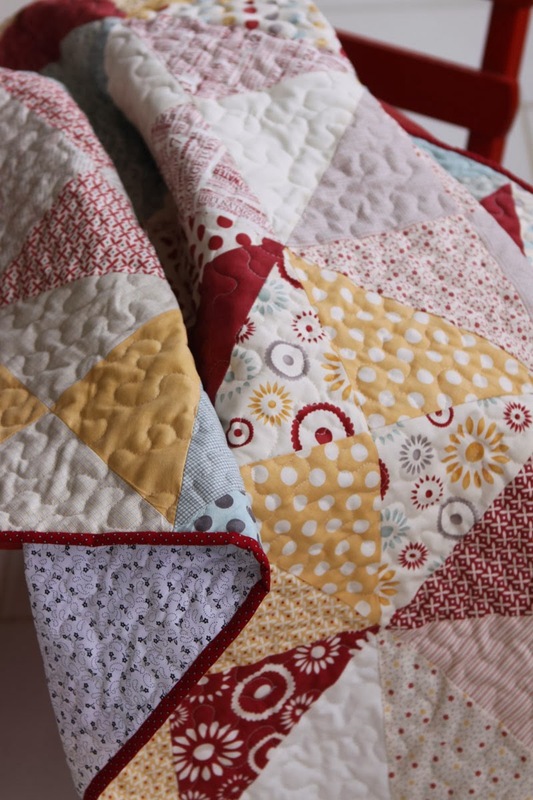 Here it is, my baby quilt, finished and ready to be offered! Hoping the parents will like it, and the baby enjoy it! Si le baby n'aime pas...moi j'adore !! 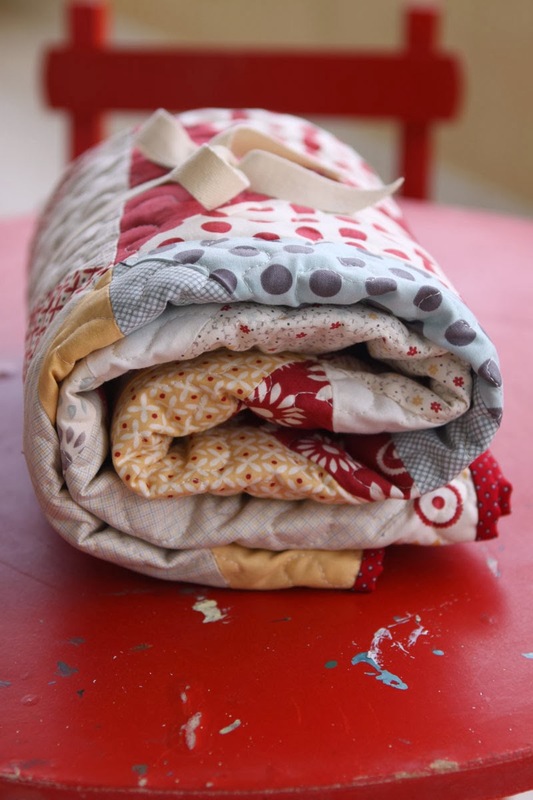 Belle presentation, joli quilting...all is perfect !! It's a lovely gift, I'm sure it will be welcome. Thanks Susan, greetings from London! It will be treasured for years to come! What a beautiful gift, and your name label is so cute. Thanks a lot Diane, have a great week-end! This is a perfect gift! 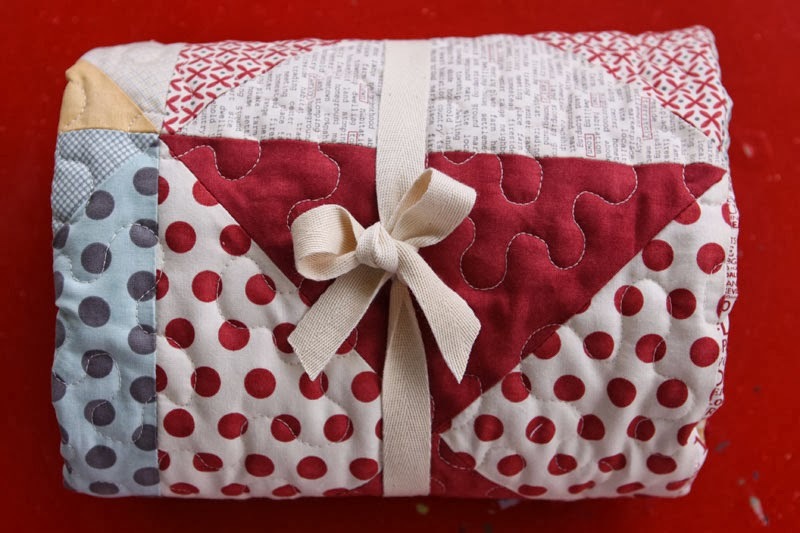 I just gave a friend a rag quilt in purples, reds, black, and gold. My friend loves everything to be purple. That is exactly how I gave it to her--rolled up and tied with a ribbon. 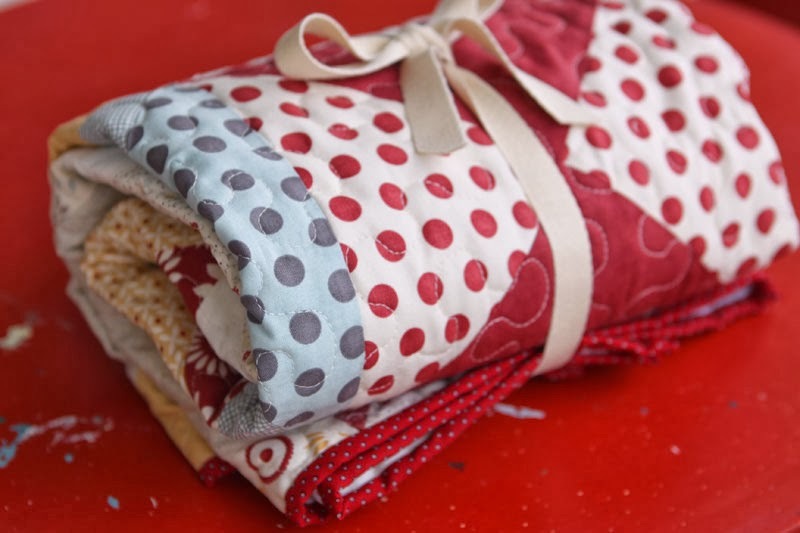 It is the perfect way to give a quilt. 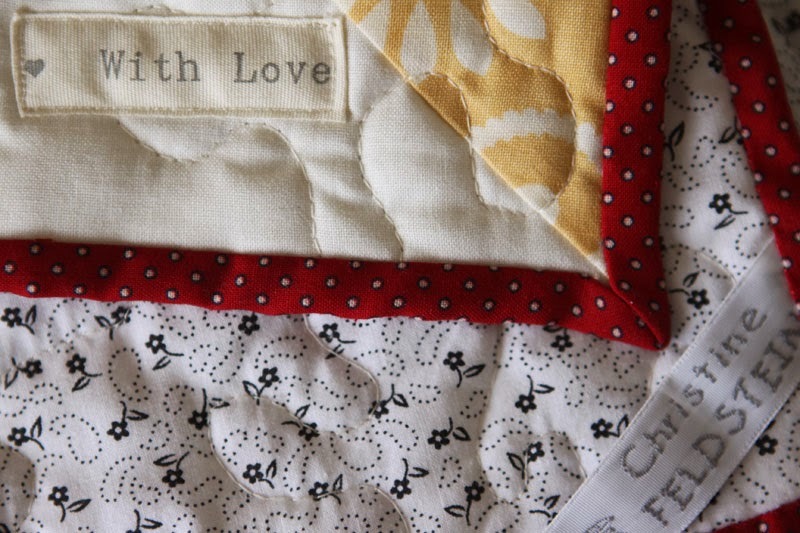 Your baby quilts are fantastic and I really like the presentation :) Recently I've finished one for my cousin's baby and the ribbon is just the perfect final touch :) Thank you!